Teams set off on the 2nd Leg which will take them to Taipei, Taiwan. To get there, teams must first take a taxi to Shenzhen where they will hop on a bus to Hong Kong. 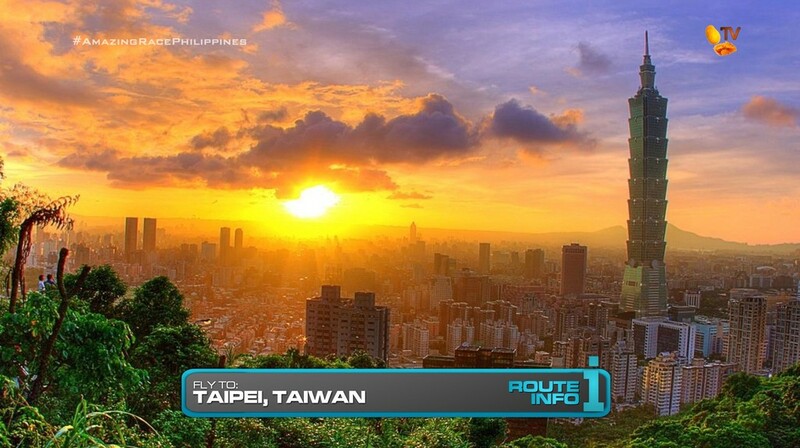 Once in Hong Kong, teams will need to secure tickets onward to Taipei. They’ll end up on one of two flights: Eva Air arriving at 9:10am and Cathay Pacific arriving at 10am. 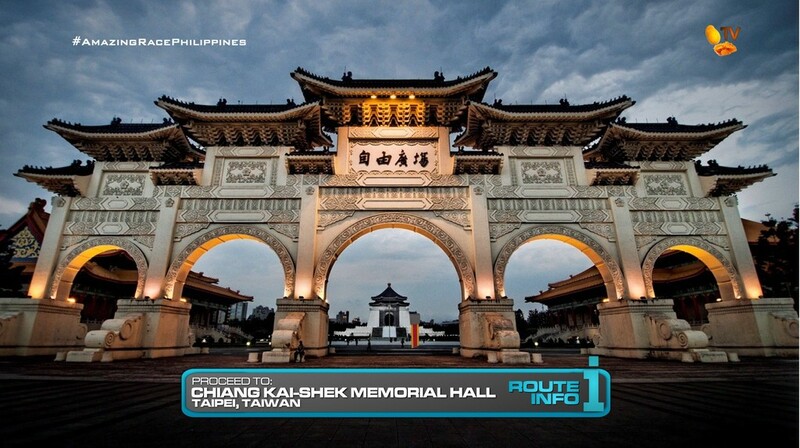 In Taipei, teams will find their next clue at Chiang Kai-Shek Memorial Hall. And that clue reveals the Detour: Touch Tea or Taste Tea. 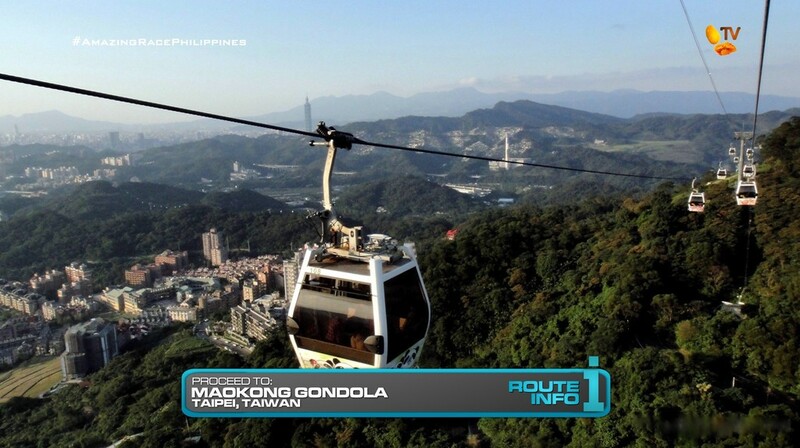 For this Detour, teams will make their way to the Taipei Zoo and ride the gondola to Maokong. 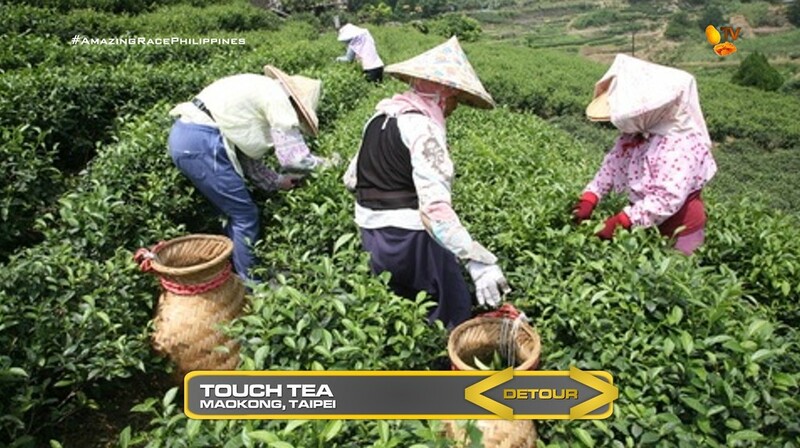 In Touch Tea, teams will need to harvest enough tea leaves to fill two large baskets. Then, they will take 2 more baskets from locals who have already filled them and deliver them on foot to 4 different tea houses in the area to receive their next clue. 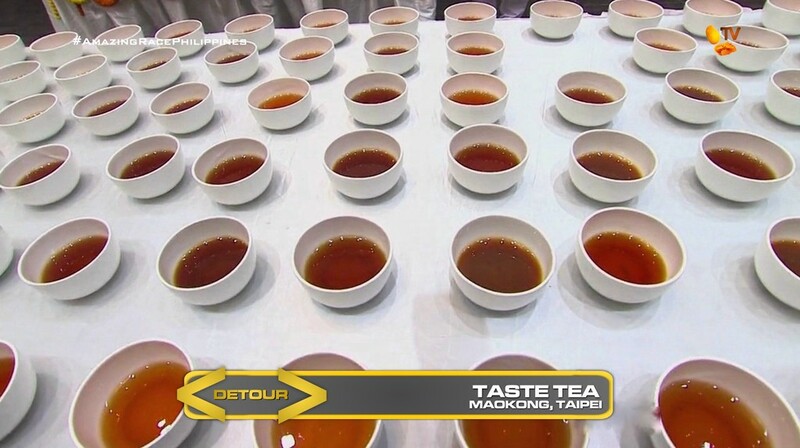 In Taste Tea, teams will need to identify Tieguanyin and Baozhong teas from rows of hundreds of tea cups based solely on taste. Once they find the two correct tea cups, they will receive their next clue. 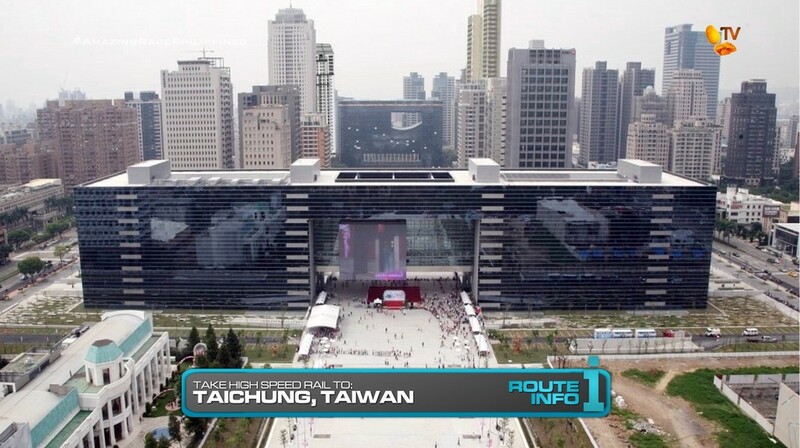 After the Detour, teams must quickly hop onto a high speed train to Taichung. 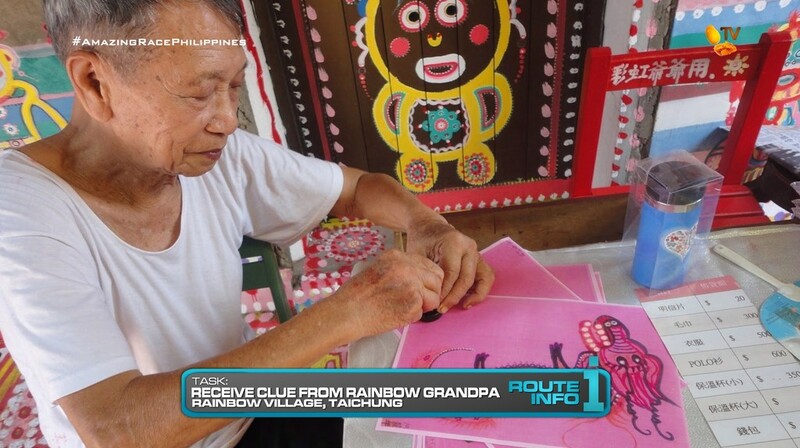 Once in Taichung, they will need to receive a clue from Rainbow Grandpa at the Rainbow Village. Rainbow Grandpa will give them a photo of a specific section of the Rainbow Village and a magnifying glass. 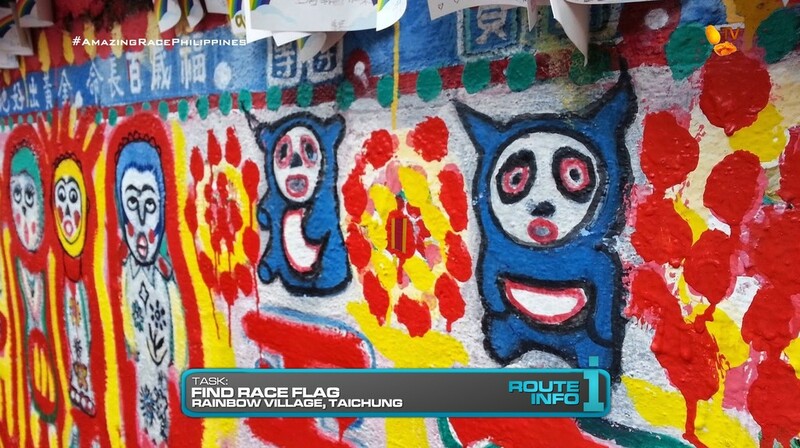 Teams will need to search the colorful buildings for a small Race flag they will exchange for their next clue. 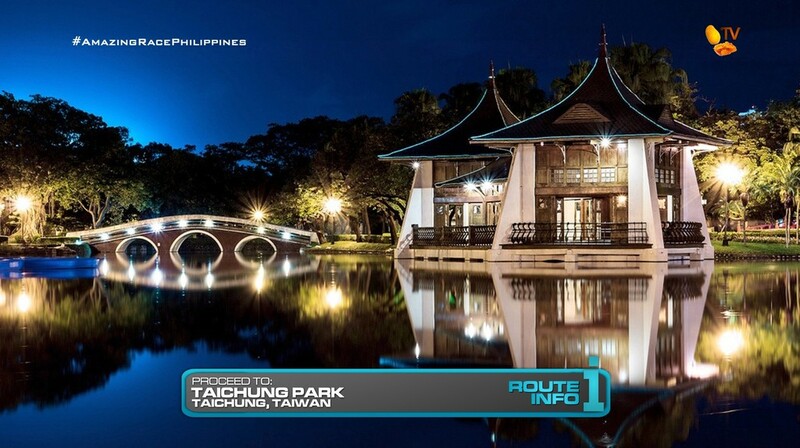 Teams will then make their way to Chun Shui Tang. And here, they will find the Road Block: Who’s on the bubble? 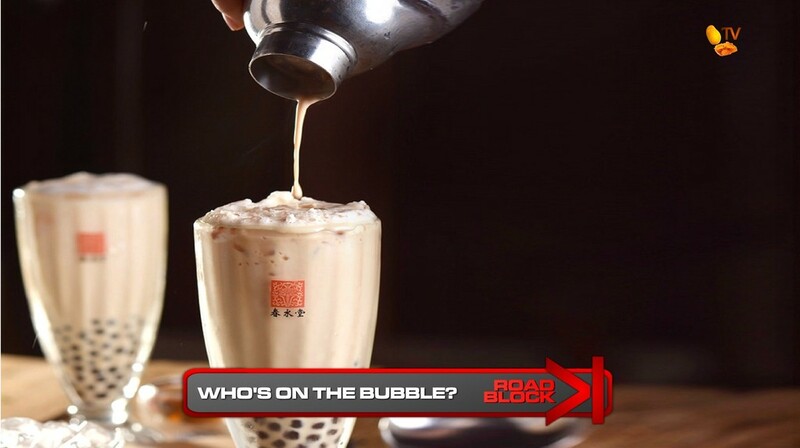 Chun Shui Tang is credited with inventing the bubble tea. For this Road Block, teams will learn how to make it. First, they will learn how to make the original bubble tea and drink a glass. They will then learn how to make modern bubble tea, make five glasses correctly and serve them to waiting customers to receive their next clue. 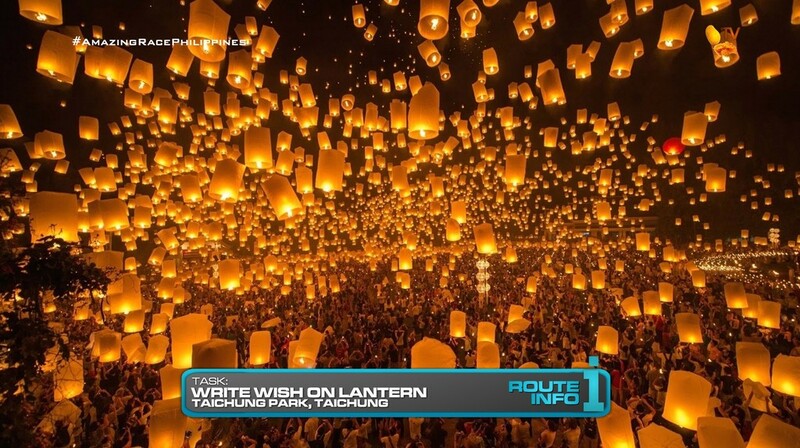 After the Road Block, teams will make their way to Taichung Park where they will write a wish on a lantern and set it free into the sky. 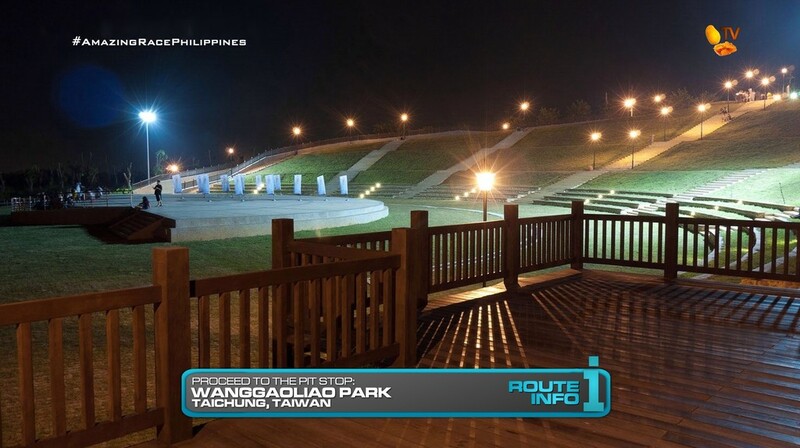 Once their lantern is in the sky, they will open the next clue pointing them to the Pit Stop: the viewpoint at Wanggaoliao. I like this Leg. It’ll be TARPH’s first visit to Taiwan and it will be a very tea-oriented Leg. The tea fields on the outskirts of Taipei should look amazing and be a stunning contrast from the urban center. The Detour should be very balanced. The tea harvesting (a pseudo-Switchback to TARPH2 hehe) should be physical, but that balances with the tea tasting which could be very time consuming since both team members must each find the matching teas. So a total of four teacups for each team. Should be good. Teams traveling to Taichung is basically to allow for the Road Block to happen. 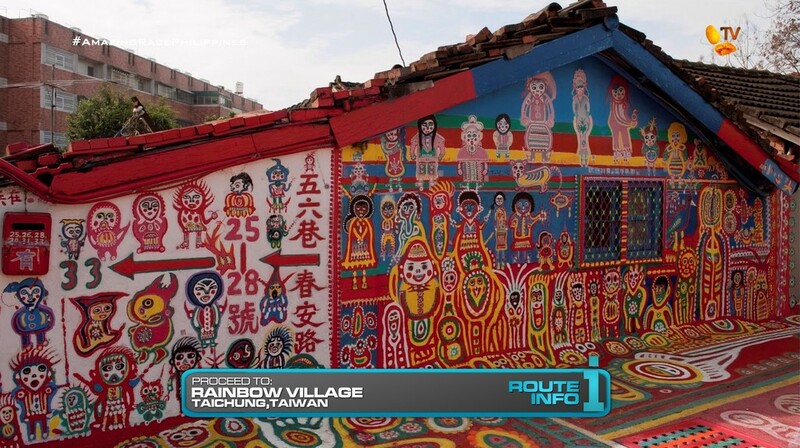 But first, the Rainbow Village looks like a beautiful place to visit. It is very similar to the Peru task from TAR26, but the Rainbow Grandpa presents a nice, more personal task. 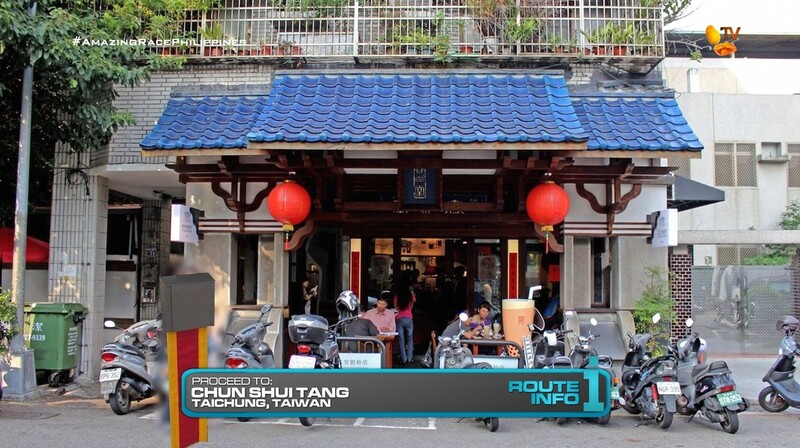 And Chun Shui Tang is the birthplace of the popular bubble tea. So this Road Block is a no-brainer. And the Pit Stop at that overlook park should be a simple, but good location for late evening.